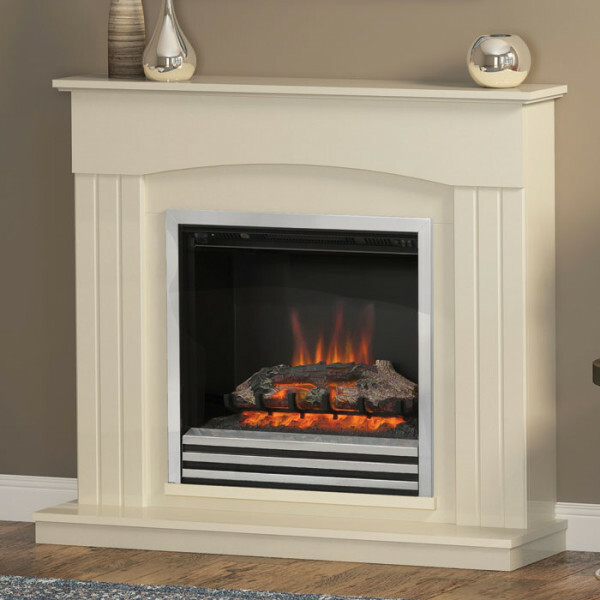 The Be Modern Linmere electric fireplace suite consists of the Linmere 44" fireplace surround in almond stone effect, painted almond stone back panel and hearth and 2kW widescreen electric fire with 3 bar fret. The electric fire comes with a choice of finishes; chrome or black nickel and a realistic log fuel effect resting on a black metal fire basket. 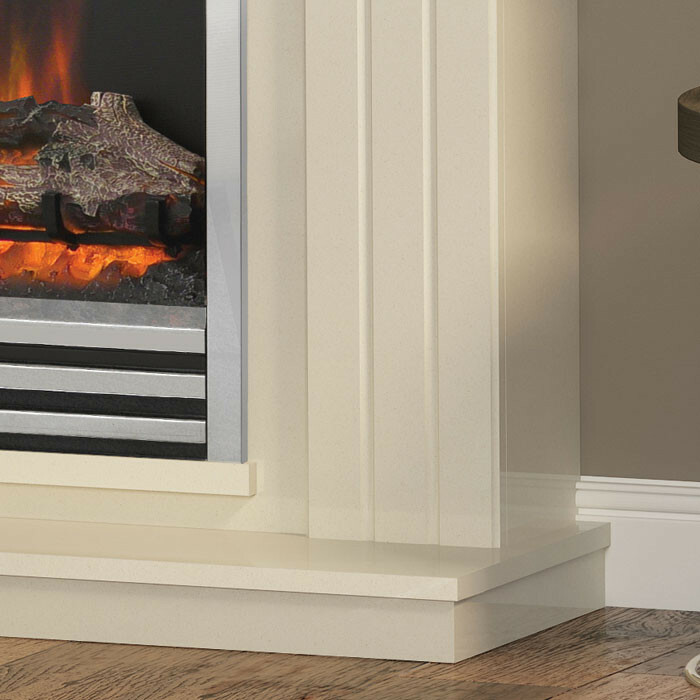 The electric fire uses the latest LED flame technology for longer life and low energy consumption, with a thermostatic control for improved energy efficiency. 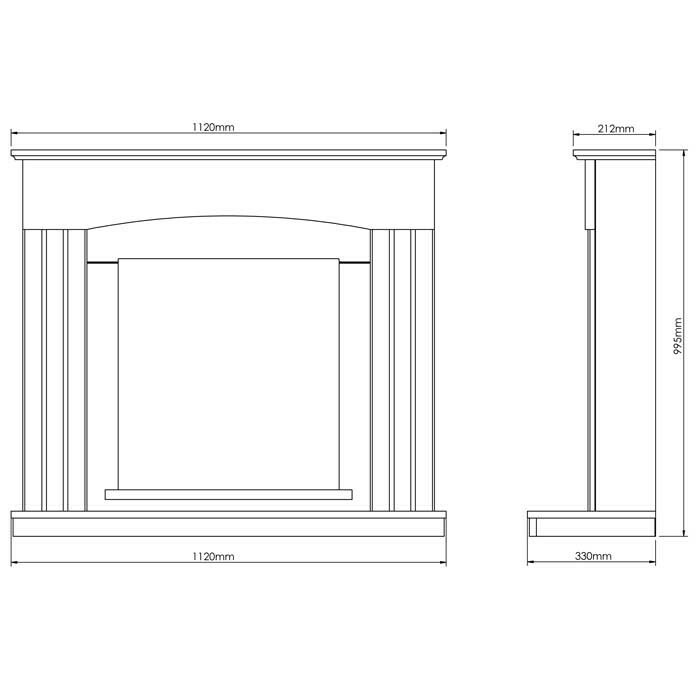 The Be Modern Linmere electric fireplace suite requires no recess or chimney for installation and can be fitted to a flat wall.